Gütermann Mara 120. Length: 1000 M/ 1094 Yards Spool Made in Germany This high-quality ..
Gutermann Mara 120. 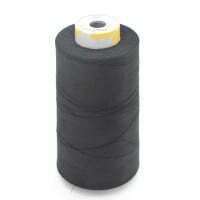 Length: 1000 M/ 1094 Yards Spool. Dark Grey 636 Made in Germany This hig..
Gutermann Mara 120. Length: 1000 M/ 1094 Yards Spool. Fuchsia 382 Made in Germany This high-..
Gütermann Mara 120.Length: 1000 M/ 1094 Yards Spool Made in Germany This high-quality G..
Gütermann Mara 120. Length: 1000 M/ 1094 Yards Spool.Lavender 158 Made in Germany ..
Gutermann Mara 120. 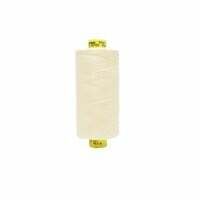 Length: 1000 M/ 1094 Yards Spool Lemon Yellow 580 Made in Germany This h..
Gutermann Mara 120. Length: 1000 M/ 1094 Yards Spool Light Blue 332 Made in Germany This hig..
Gütermann Mara 120. 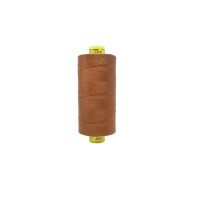 Length: 1000 M/ 1094 Yards Spool.Light Brown 650​ Made in Germany ..
Gutermann Mara 120. 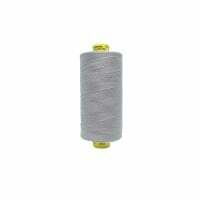 Length: 1000 M/ 1094 Yards Spool Made in Germany This high-quality Guter..
Gutermann Mara 120. Length: 1000 M/ 1094 Yards Spool.Mid Grey 40 Made in Germany This high-q..
Gutermann Mara 120. Length: 1000 M/ 1094 Yards Spool.Mustard 968 Made in Germany This ..
Gutermann Mara 120. 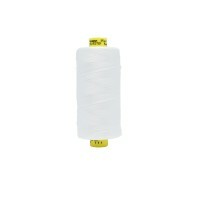 Length: 1000 M/ 1094 Yards Spool.Neon Green 3853 Made in Germany This hi..
Gutermann Mara 120. Length: 1000 M/ 1094 Yards Spool.Neon Pink 3837 Made in Germany This hig..
Gutermann Mara 120. 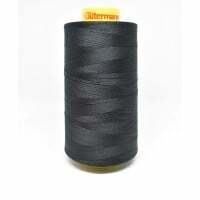 Length: 1000 M/ 1094 Yards Spool.Neon Yellow 3835 Made in Germany This h..
Gütermann Mara 120 Length: 1000 M/ 1094 Yards Spool Made in Germany This high-quality G..
Gutermann Mara 120. Length: 1000 M/ 1094 Yards Spool.Orange 351 Made in Germany This high-qu..
Gutermann Mara 120. Length: 1000 M/ 1094 Yards Spool.Purple810 Made in Germany Thi..
Gutermann Mara 120. Length: 1000 M/ 1094 Yards Spool Terquoise Blue 715 Made in Germany ..
Gutermann Mara120 Sewing Thread 5000m White 800 This high-quality Gutermann Sew All Thread is suita..
Gutermann Mara120 Sewing Thread 5000m Ivory This high-quality Gutermann Sew All Thread is sui..
Gutermann Mara120 Sewing Thread 5000m Black 000 This high-quality Gutermann Sew All Thread is suita..
Gutermann Perma Core 120 large spool 5000m black 32002 The Gutermann Sew-All Thread is the correct .. Everywhere you look, you will always see threads, keeping your clothes together, keeping your tent together and with Gutermann, these threads will hold much longer! 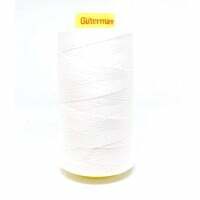 Guterman is a trusted company that produce threads for all needs. They started selling threads in 1864 Their company is now partnered with A&E, which started in 1891 These companies are well known all over the world and are trusted by many big company's. 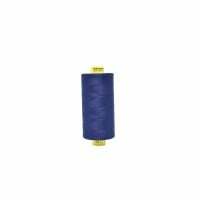 Konsew has a large range of Gutermann, This includes threads for you light and heavy material, leather and for plastic, jeans and many other clothing types. 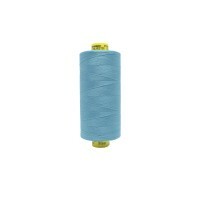 Every type of cloth has got a special type of thread for it, and Gutermann provide all of them. 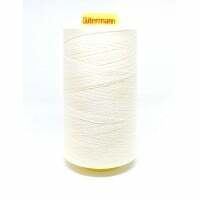 Gutermann also has threads called "Perma Core" which are multi-purpose threads. They have got all the colours you can imagen. 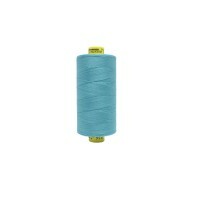 you can order Gutermann threads at our store online( konsew).